Miss Mani Monster! 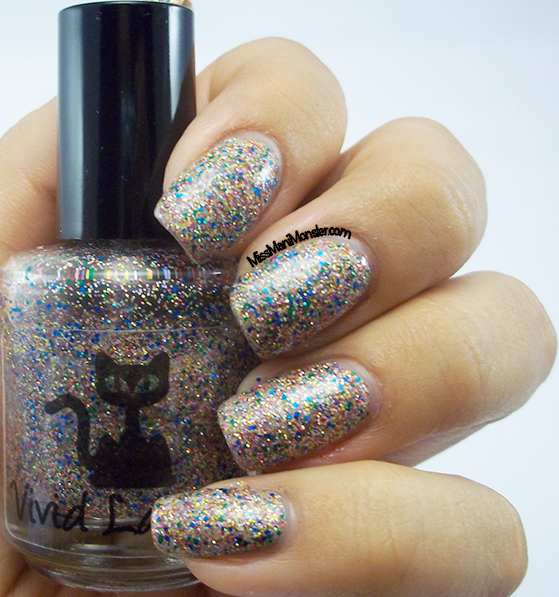 : Vivid Lacquer Swatches Part 2! Vivid Lacquer Swatches Part 2! As promised, below is the second half of Vivid Lacquer's new Summer/Fall Collection!! Up first is Shattered Oasis, a royal blue with lighter blue glitter! I did three thin coats for opacity, and this baby applied like a creme - so easy!! Below is S.L.U.G. Queen Sadie, a deep, shimmery, hunter green. Another one, not surprisingly, that applied very easily and smoothly. I used three thin coats for full opacity! 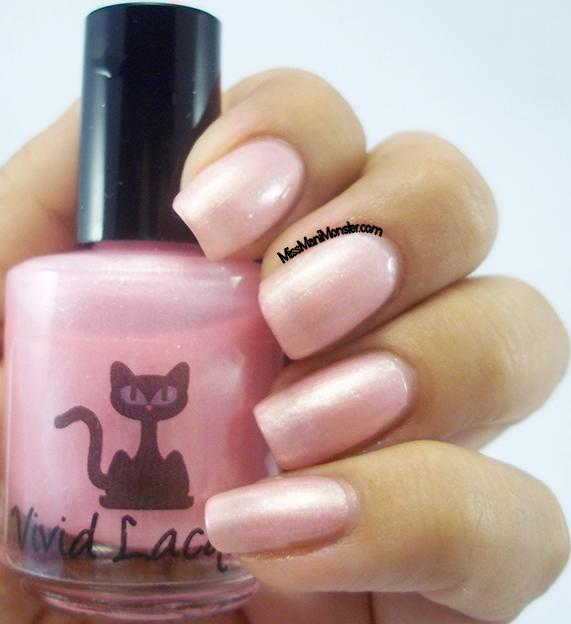 Next is Talking With My Hands, a beautiful, pale shimmery pink! I applied 4 thin coats for full opacity to avoid any streakiness, and it totally did the trick! Next is Theoretically Pleased, a pastel yellow crelly with white, purple, and yellow glitter. 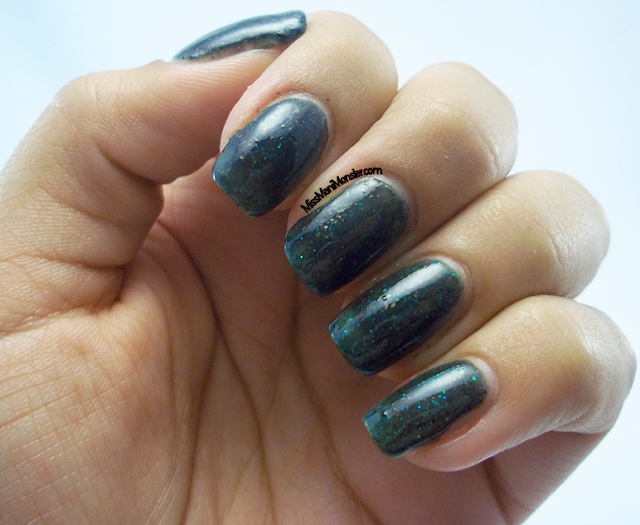 Below are two coats, and application was very opaque even in the first coat! To go along with that is Theoretical Sunshine, a perfect pale orange with red, orange, and gold glitter. I did three thin coats, and it applied beautifully. Each layer just adds more depth! Finally is Welcome to the Rapture, and bright, micro, multicolored glitter topper! Below are three coats for complete coverage! I know sometimes microglitter toppers can be gritty or hard to work with, but this one dried smooth BEFORE topcoat! All of these and the previous polishes can be purchased on Etsy, and you can keep up with any sales, promotions, or new collections at Vivid Lacquer's Facebook! So much pretty! I am flailing with anticipation for the next VL update. Have you seen her stamping plates? OH! MY!